most unique places of the world which is real. The journalist shared his impressions from his visit to Artsakh on Facebook. countries. But Karabakh is real. What do I include in this word? and not easy present of this country, but a fact”, he said. Shiryayev thanked all those who organized his trip. Shiryayev said he will publish articles on his visit. accented Russian that Shiryayev will be blacklisted after the visit. Along the Armenia-Azerbaijan border, 150,000 people in an unrecognized republic live in military limbo. Life on the border of Armenia and Azerbaijan has been fraught for decades. But in April of 2016, the two countries battled for four days over a disputed region in the middle, the self-proclaimed Nagorno-Karabakh Republic that’s officially a part of Azerbaijan but currently occupied by Armenian rebels. A cease fire in 1996 had cooled tempers, but reports of repeated violations on both sides led to full out war for four days in 2016. Locked in perpetual dispute, the 150,000 people of the Nagorno-Karabakh Republic live in a state of military limbo. Much like the dispute between Israelis and Palestinians, the Armenian-Azerbaijan tension is long simmering, and long ago became part of everyday life. The constant preparedness can have degrading impacts on the country’s economy. Young people who might otherwise pursue advanced education tend to be enveloped into an all-hands-on-deck mentality. On the front lines in the province of Mantakert, Amighetti met a young soldier, perhaps 18 or 19, who interrupted his studies in Yerevan, the capital of Armenia, and was sent to Nagorno-Karabakh for training. He was fascinated by journalism and, as Amighetti photographed, he marveled at the first time he had seen a foreign photographer take interest in the crippling stiffness of a mostly unknown region. Despite the looming threat of war, the overarching sentiment in Amighetti’s images and in his conversations wasn’t anger or resentment. On the front lines, while both sides have dug new trenches and bought new weapons, urban streets elsewhere in the region seemed to be filled with a sense of ordinariness, in supermarkets and in restaurants. One benefit of a decades-long standoff seemed to be that eventually, new generations start to forget, the grievances become more distant and less relevant. At least a teenager, preparing for battle in a war that predates him, can hope. See more of Emanuele Amighetti's work on his website and follow him on Instagram. PanARMENIAN.Net - Armenians have not destroyed Azerbaijani graves and monuments in Nagorno Karabakh (Artsakh), Azeri political emigrant, blogger Orduhan Teymurhan said in a speech in Europe. "Yes, pigs and goats walk on and around Azerbaijani graves, but Armenians haven’t committed vandalism against our monuments," he said, according to Haqqin.az. Teymurhan’s statement stirred an extremely negative reaction among Azerbaijani social media users. Based on many precedents, Karabakh people have a right to self-determination, Washington College of Law's professor Paul Williams said during a roundtable discussion in the European Parliament. Karabakh has earned sovereignty and built effective institutions for a number of years, free and fair elections, he said during “Remedial Secession in Theory and Practice: The case of Nagorno Karabakh (Artsakh)” conference. The conference organized by the Armenian organizations was hosted by European Parliament members Michèle Rivasi (Verts/ALE) and Lars Adaktusson (EPP). Azerbaijan must abandon its aggressive stance towards the people of Karabakh, UN independent expert said during round table discussion in the European Parliament. Dr. Alfred de Zayas, UN Independent Expert on the promotion of a democratic and equitable international order, is one of the key speakers of “Remedial Secession in Theory and Practice: The case of Nagorno Karabakh (Artsakh)” conference organized in Brussels. “The April aggression constituted a breach of peace and violation of the UN Charter, and it must be condemned,” he said, adding that Karabakh has absolute right for self-determination. He added that neither the right to self-determination, nor territorial integrity is absolute and must be used as a part of the UN Charter. He named a number of European countries that unilaterally declared their independence. “All people have the same human rights. There is no justification to deny their [Karabakh’s] recognition. This right cannot be used selectively,” he added. The conference is hosted by European Parliament members Michèle Rivasi (Verts/ALE) and Lars Adaktusson (EPP). A conference dedicated to Nagorno-Karabakh and its relations with the EU was organized in the European Parliament on Wednesday. “Nagorno-Karabakh & the EU 1988/2018” was hosted by MEP Frank Engel who is also the Chairman of the Friends of Nagorno-Karabakh group in the European Parliament. Participants at the event stood up in silence to honor the victims of the Sumgait pogroms. Members of the European Parliament Eleni Theocharous and Jaromir Stetina delivered speeches during the event. Speaking about Karabakh, Eleni Theocharous said the region was always inhabited by the Armenians, adding that the right to self-determination is a universal right. She emphasized that the resolution of the conflict is important and called on the European Union not to remain inactive. For his part, Jaromir Stetina said there is “a sense of historical justice” to support Karabakh. “Hate policy which began in Sumgait continues. The war for freedom of Karabakh continues, and diplomatic efforts to stop the conflict continue but they are unsuccessful,” he added. The politician said the Karabakh people realized that international community would not help them and took the arms. “It’s time to act on the recognition of Nagorno-Karabakh,” he said addressing the European Union. Another speaker was Bulgarian journalist Tsvetana Paskaleva who told the moving story of her first trip to Karabakh in 1991 and the horrors of the aggression against the Karabakh people. “I want to see Karabakh with peace and recognition. They’re ready for it,” she added. The discussion was organized by the European Friends of Armenia and AGBU Europe. On February 27 the European Parliament deputies Michèle Rivasi (Verts/ALE) and Lars Adaktusson (EPP) hosted a public debate featuring prominent international scholars and diplomats who examined developments in international law, the status of the negotiations, and recommendations for achieving a peaceful resolution in Nagorno Karabakh (Artsakh). Speakers included Dr. Alfred de Zayas, UN Independent Expert on the promotion of a democratic and equitable international order, Dr. Paul Williams, Professor of Law, American University’s Washington College of Law and co-founder of the Public International Law & Policy Group, Dr. Sergey Markedonov, associate Professor at Russian State University, Armine Aleksanyan, Deputy Foreign Minister of the Artsakh Republic and moderator Giro Manoyan, board Member of the Armenian Legal Center for Justice and Human Rights (ALC). The event was co-organized by ALC, Tufenkian Foundation and the European Armenian Federation for Justice and Democracy (EAFJD). Held at the European Parliament, the debate reviewed the findings of a colloquium held on Feb. 26-27 at the Center for European Policy Studies (CEPS), with the participation of over a dozen distinguished international law experts and former diplomats. The colloquium was co-organized by the Armenian Legal Center for Justice and Human Rights and the Tufenkian Foundation. - Escalation of armenophobic rhetoric and war-mongering are not acceptable and must be discouraged, incitement to violence and hatred is prohibited by international law. To emphasize the need to create mechanisms for dealing with the right to self-determination, Dr. Williams noted that there were over 70 active self-determination movements in the world and the failure to create mechanisms to address them has resulted in over 20 million deaths in the past 50 years. “Failure to adequately develop a plan to resolve self-determination movements is deadly,” explained Williams. He went on to propose the concept of “earned sovereignty” as a crucial mechanism that would prevent the deadly conflict. Earned sovereignty would require de facto states build functioning state institutions and democracy rooted in respect for human rights before gaining recognition. Dr. Markedonov, who provided an overview of recent developments, stated that the recent escalations of violence and war rhetoric has set the sides apart, making a negotiated settlement even more difficult. He also cautioned against the current focus only on the Karabakh-Azerbaijan border, since “one more important challenge is along the Armenia-Azerbaijan border which is not contested territory,” but experiences ceasefire violations. Deputy Foregin Minister of the Artsakh Republic Aleksanyan noted : “Nagorno Karabakh is not merely a name of a conflict, it is a place where people live. These people were destined to fight for their right to live.” As proof of Artsakh’s determination to build a strong democratic state, Aleksanyan emphasized that the country has unilaterally signed several human rights treaties such as the Universal Declaration of Human Rights, Geneva Conventions, and the ICCPR. The conference participants agreed that Nagorno Karabakh has a very strong claim for self-governance and that international community should become more heavily engaged with Nagorno Karabakh and the peace process to facilitate an appropriate solution to the conflict. Will Trump Ignore a Visit from the President of Nagorno-Karabakh? It is time for the international community to welcome the Republic of Nagorno-Karabakh—Artsakh—into the community of nations. In 451 A.D., Armenian warriors, having just lost a fierce battle with the superior Persian Empire, retreated into the forests of Artsakh in the South Caucasus. They had lost the war, but preserved their Christian faith, and thus considered it a victory. Armenia was the first nation to embrace Christianity, in the year 301. In 2018, a small but determined Armenian democratic republic, the Republic of Nagorno-Karabakh (or “Artsakh,” as Armenians call it) is attempting to survive, threatened by a militarily superior power that wishes to crush it. 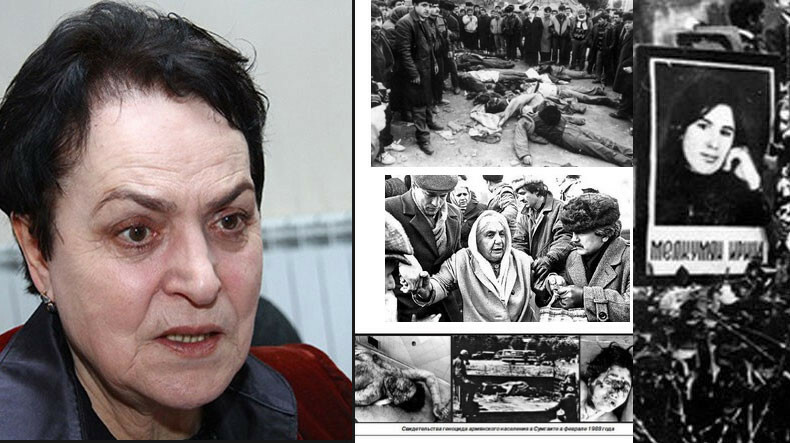 Professor Audrey Altstadt, in her recent article about Azerbaijan did not mention Nagorno-Karabakh, but perhaps ought to have, as the plight of the citizens of that unrecognized de facto state constitutes a serious violation of human rights. This week, the democratically-elected president of Artsakh, Bako Sahakyan, will visit Washington. He will not be received by the administration, in part because the United States is silent on the question of whether Artsakh should eventually be independent of Azerbaijan, to which it was allocated by Josef Stalin in 1921. Washington does not recognize Artsakh—in fact no country yet does—but President Sahakyan’s predecessor who visited in 1999 and 2002 met with State Department officials at the working level, and there is an unofficial representative of Nagorno-Karabakh/Artsakh resident in Washington. For this visit, Sahakyan will have to be content with meetings on the Hill and a private lunch at the Center for the National Interest. Along with France and Russia, the United States has been attempting to mediate the dispute between Azerbaijan and Nagorno-Karabakh for more than twenty years. Although the talks, sponsored by the Organization for Security and Co-operation in Europe, have not yet produced a settlement, in the meantime the people of Karabakh have built a thriving democracy based on market principles, free and fair elections and respect for human rights. A fragile cease-fire reached in 1994 under Russian auspices was flagrantly violated in April 2016 when Azeri troops attempted to reverse the victory achieved in the early 1990s by Karabakh Armenians fighting for their right to self-determination as the Soviet Union started to collapse. Nagorno-Karabakh has never in fact been part of modern Azerbaijan except as a part of the USSR, when it was an autonomous region, with the right of secession. Nor was it a part of the short-lived Azerbaijan that briefly existed prior to the establishment of Soviet power in the South Caucasus. The four-day war in 2016 has changed everything. It was a brutal campaign launched in the middle of the night on multiple sectors of the Line of Contact that divides the Armenian and Azeri forces. Some four hundred casualties resulted before a shaky cease-fire was restored. Azeri forces carried out multiple atrocities, cutting off the ears of an elderly Armenian couple, torturing and mutilating the bodies of Armenian soldiers, and, in at least one case, decapitating them, ISIS-style. These atrocities—some twenty-eight of them—have been documented by the Ombudsman for Artsakh and reported to the UN Commission on Human Rights. The blitzkrieg destroyed what little confidence the Armenians in Artsakh may have had in the peace talks and in Baku’s intentions toward them, which some observers say were tantamount to genocidal. As I saw with my own eyes when I visited in July after the April 2016 war, the people and the de facto authorities of the Nagorno-Karabakh Republic have built a functioning democracy despite being “unrecognized” by the world. They have demonstrated all the attributes of a state outlined in the Montevideo Convention except the last: the capacity to conduct state-to-state relations. In fact, they do have the capacity; it is only the opportunity that they have been denied. Azerbaijan punishes anyone who visits Karabakh without its consent, so the opera singer Monserrat Caballé, celebrity cook Anthony Bourdain, Washington Post columnist David Ignatius and many others are now on Baku’s “black list.” Full disclosure: I am on that list myself. As Professor Paul Williams of the American University Washington College of Law reminds us, there are some seventy active self-determination movements in today’s world. These conflicts, he points out, are “deadly, durable and destabilizing.” They tend to last, on average, about thirty years. But as another international law expert, Alfred de Zayas, points out, self-determination is a form of democracy, and ought to be viewed as a factor for long-term stability. It is time for the international community to welcome the Republic of Nagorno-Karabakh—Artsakh—into the community of nations. As the deputy foreign minister of Artsakh, Armine Aleksanyan, put it recently at the European Parliament, “Karabakh is a country, not a conflict.” The people of Artsakh just want to live their lives in peace and freedom. Even though the status of the Republic of Artsakh has not yet been finally determined, the people of Artsakh possess, and should enjoy, the same rights as all the rest of us, and ought not to be quarantined by the rest of humanity. John Evans is a retired U.S. Foreign Service Officer who served as Ambassador to the Republic of Armenia 2004–2006. He is the author of Truth Held Hostage: America and the Armenian Genocide—What Then? What Now? The United Nations Security Council adopted four Resolutions during the Artsakh (Karabagh) war in 1993 calling for the withdrawal of Armenian forces, cessation of all hostilities and urging a negotiated settlement of the conflict between Armenia and Azerbaijan. These resolutions are often cited by the Azerbaijani media, which is under the strict control of the Azeri government. In the past 25 years, the Azeris have repeatedly condemned Armenia for not abiding by these resolutions, and have made them a part of their continued propaganda war against Armenia. However, Azerbaijan has distorted the contents and context of these Resolutions, trying to deceive the international public. Azerbaijan itself has not complied with these Resolutions. When one side (Azerbaijan) violates these Resolutions, it cannot accuse the other side (Armenia) of not complying with them. The UN Security Council is composed of 15 States: Five of them are permanent members who have a veto power (United States, Russia, China, Great Britain, and France) and 10 of them are rotating members. The UN Security Council is charged with maintaining peace and security among nations. UN member states are obligated to carry out the decisions of the Security Council. It is particularly hypocritical of the Turkish government to blame Armenia for not complying with the four UN Security Council Resolutions, when Turkey itself has violated over 60 UN Security Resolutions adopted since Turkey’s invasion of Northern Cyprus in 1974. Let us now review each of the resolutions, which were adopted unanimously by all 15 member states. My comments appear in bold. “Demands the immediate cessation of all hostilities and hostile acts with a view to establishing a durable cease-fire, as well as immediate withdrawal of all occupying forces from the Kelbadjar district and other recently occupied areas of Azerbaijan.” Azerbaijan has violated the cease-fire for 25 years on a regular basis by continuously shooting across the borders of Artsakh and Armenia. “Urges the parties concerned immediately to resume negotiations for the resolution of the conflict within the framework of the peace process of the Minsk Group of the Conference on Security and Cooperation in Europe and refrain from any action that will obstruct a peaceful solution of the problem.” The Minsk Group of CSCE, subsequently renamed OSCE, is composed of three co-chairs: the United States, France and Russia which are the official mediators to help resolve the Artsakh conflict, not the United Nations Security Council! “Calls for unimpeded access for international humanitarian relief efforts in the region, in particular in all areas affected by the conflict in order to alleviate the suffering of the civilian population and reaffirms that all parties are bound to comply with the principles and rules of international humanitarian law.” Despite this clause, Azerbaijan has tried to undermine the delivery of international humanitarian aid to the people of Artsakh. “Expressing once again its grave concern at the displacement of large numbers of civilians in the Azerbaijani Republic and at the serious humanitarian emergency in the region.” The reference to “the serious humanitarian emergency in the region” also applies to Armenian refugees from Azerbaijan. “Reaffirming the sovereignty and territorial integrity of the Azerbaijani Republic and all other States in the region.” This clause applies to both Armenia and Azerbaijan. “Reaffirming also the inviolability of international borders and the inadmissibility of the use of force for the acquisition of territory.” Artsakh Armenians have the right to self-determination under international law and UN Protocols. “Reiterates in the context of paragraphs 3 and 4 above its earlier calls for the restoration of economic, transport and energy links in the region.” This clause is violated by Azerbaijan and Turkey by their blockades of Armenia and Artsakh. “Urges the parties concerned to refrain from any action that will obstruct a peaceful solution to the conflict, and pursue negotiations within the Minsk Group of the CSCE, as well as through direct contact between them, towards a final settlement.” The reference to “the parties concerned” and “direct contact between them,” implies Artsakh’s inclusion in the negotiations, as was the case earlier. 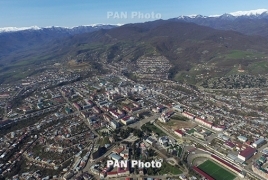 Azerbaijan blocked Artsakh’s participation in the negotiations. “Urges the Government of the Republic of Armenia to continue to exert its influence to achieve compliance by the Armenians of the Nagorny Karabakh region of the Azerbaijani Republic with its resolution 822 (1993) and the present resolution, and the acceptance by this party of the proposal of the Minsk Group of the CSCE.” Armenia coordinates its negotiating position with the government of the Republic of Artsakh. However, Artsakh’s exclusion from the negotiations makes the task of coordination more difficult. Furthermore, Artsakh not being a recognized state and not a member of the UN is under no obligation to comply with any of these Resolutions. “Urges States to refrain from the supply of any weapons and munitions which might lead to the intensification of the conflict or the continued occupation of territory.” This clause is violated by Turkey, Russia, Israel, the Czech Republic, Ukraine, Pakistan, and several others, which have supplied billions of dollars of weaponry to Azerbaijan. CANBERRA, SYDNEY—The New South Wales (NSW) Armenia – Australia Parliamentary Friendship Group has passed a resolution, declaring the cross-party collective’s solidarity with the Republic of Artsakh and its people’s right to self-determination, reported the Armenian National Committee of Australia (ANC-AU). ANC-AU Executive Director, Haig Kayserian praised the symbolic show of support from the Group of Members of the Parliament in Australia’s largest state. The NSW Armenia – Australia Parliamentary Friendship Group is chaired by Jonathan O’Dea MP and vice-chaired by the Hon. Walt Secord MLC, and lists among its members a growing number of MPs in the NSW State Parliament. Azerbaijan has violated every one of the above clauses. In addition to the frequent violations of the mandated cease-fire, the Azerbaijani forces attacked Artsakh in April 2016, causing major damage to border towns and killing civilians. By cutting off the ears of elderly Armenian villagers and decapitating several Armenian soldiers, Azerbaijan’s armed forces committed a barbaric act and a war crime! Armenian officials usually neither respond to the Azeri accusations regarding the UN Security Council Resolutions nor try to set the record straight. The only exception was Pres. Serzh Sargsyan’s comprehensive speech at the U.N. General Assembly on Sept. 24, 2014. 1) The UN Security Council Resolutions were adopted in 1993 during the height of the war between Artsakh/Armenia and Azerbaijan. These Resolutions reflect the conditions on the ground at the time. Since then, the situation has dramatically changed. 2) Despite the cease-fire that was signed in 1994 between Armenia, Artsakh and Azerbaijan, the latter keeps violating both the ceasefire and the UN Security Council Resolutions by its frequent attacks on both Artsakh and Armenia. 3) Azerbaijan opposes Artsakh’s participation in the negotiations, thus violating the UN Security Council Resolutions. 4) The Minsk Group co-chairs, composed of the United States, France, and Russia, are the official mediators of the Artsakh conflict, not the UN Security Council and not the UN General Assembly. 5) In fact, when Azerbaijan brought the Artsakh issue to the UN General Assembly in 2008, all three Minsk Group co-chairs voted against it. Azerbaijan’s proposal was adopted by a small number of States. The overwhelming majority abstained. 6) By blockading Artsakh, Azerbaijan is violating the four UN Security Council Resolutions. Azeris who continue to distort the four UN Security Council Resolutions should follow former President Heydar Aliyev’s statement and refrain from accusing Armenia of violating these Resolutions when in fact Azerbaijan is the one not complying with them. Two years ago, Utah’s Senate allowed the consul general of a brutal dictatorship to lecture our state on tolerance. February marks the 30th anniversary of dictatorial Azerbaijan’s first pogrom – a government-approved massacre – against its Armenian citizens. It is imperative for Utahns to know this history, which sparked the dusk of the Soviet Union, so that we are never again manipulated by lavish lobbyists’ lies. The year was June of 1987 when President Ronald Reagan stood in West Berlin and challenged Soviet Leader Gorbachev to “tear down this wall!” His words were a reminder to the world that the U.S. was and would continue to be the beacon of hope for so many trapped behind the Iron Curtain. Just eight months after President Reagan’s speech, Armenians who lived in the region known then as Nagorno-Karabakh, voted overwhelmingly to reverse the Stalin-imposed borders that had placed the indigenous Christian minority within the predominantly-Muslim Azerbaijan and to reunite with their Armenian countrymen next door. The cry for freedom was met with tyranny. In major cities across Azerbaijan, Armenians were targeted for brutalities. Thirty years ago, the Soviet authorities incited an assault in Sumgait then stood idle as Armenians were gangraped, burned, and killed, followed by additional anti-Armenian massacres in Kirovabad, Baku, and Shahumyan. Dean Cain’s and Montel Williams’ documentary, Architects of Denial, features gruesome details of Azerbaijan’s anti-Armenian atrocities. After Soviet Azerbaijan brutally expelled all 300,000 Armenians outside Nagorno-Karabakh, the region’s indigenous Armenians fought to avoid genocide. The resulting 1990s war was the bloodiest of the post-USSR era. It victimized both Armenians and Azerbaijanis: 30,000 lives, a million refugees, and six years later, the Armenians emerged as victors by declaring an independent state known as the Nagorno-Karabakh Republic (NKR) and as Artsakh to its native people. If this conflict is unfamiliar to you, you are not alone. This war was fought in the shadow of momentous global events. Nations were emerging and changing their flags faster than National Geographic was able to produce updated maps. There was no public internet to look up and see where Lithuania, Ukraine, Armenia or Azerbaijan was, let alone Nagorno-Karabakh. Today’s technology enables us to follow world news closely. So when Azeri forces launched an offensive, which violated the ceasefire, in April 2016, everyone who seemed to care knew about it. The Armenian forces of Artsakh repelled the Azeris. Despite significant losses, Armenians held their ground, once again defending their rugged homeland. This time the world would surely condemn Azerbaijan’s unprovoked aggression and war crimes! If it were just that simple. Today, just like 30 years ago in Sumgait, most of the world stands idly by as Azerbaijan – a nation run by a petroleum-enriched dictatorship – buys lobbyist and influence in our nation’s halls of power and tries to infiltrate state capitols. No wonder that Azerbaijan’s 2016 war crimes against Armenian Christians – mutilation of elderly civilians and beheadings of soldiers – were only reported by Breitbart. Americans must always stand with people who are willing to fight for their right to life, liberty and the pursuit of happiness in their homeland. We must recognize the integrity and independence of the people of Artsakh and promise that America will not soon forget their sacrifices for the hard-fought independence. We owe this to everyone who lived in fear in the USSR; to everyone who heard President Reagan’s words and were inspired to throw off the shackles of oppression and tyranny. We owe it to the Armenians in Artsakh. Seven states have already recognized the Republic of Artsakh through legislative resolutions. We should be next. 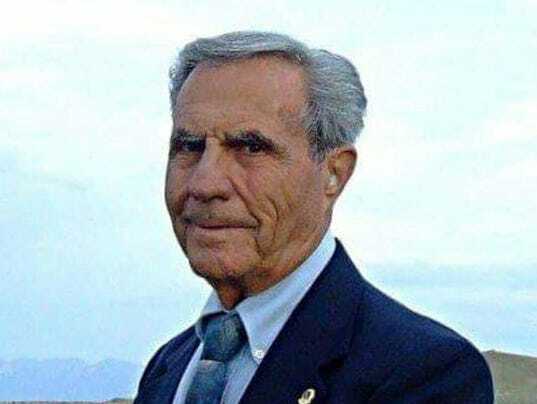 Bill Barton, whose maternal family survived the Armenian Genocide of the early 1900s, is a native West Valley resident and served 12 years in the Utah Senate. YEREVAN, APRIL 11, ARMENPRESS. The small republic of Nagorno Karabakh in the Caucasus is deeply patriarchal, but for the last several years, more and more women have been rising to positions of leadership in the government, courts and universities. The development has changed the country, the German Spiegel news website published an article which is titled “A Woman's World in the Caucasus: Nagorno Karabakh's Grand Experiment”, reports Armenpress. “A woman is standing in a basement in the Caucasus. In her early 40s, she is wearing jeans and her black hair falls loosely to her shoulders. She points to the corner where she once huddled with her family as a young woman and indicates the staircase where a shell bored into her brother's body. She shows the crate out of which she pulled the Kalashnikov every time her father went to the front. The woman who is leading the way through the basement, a cellar that used to be used for food storage before becoming a bomb shelter, is Armine Aleksanyan, the deputy foreign minister of Nagorno Karabakh”, the article writes, adding that she is a woman with power and pride. Spiegel writes that Armine Aleksanyan, thanks to an historic opportunity, has risen to a position that she otherwise never would have been allowed to take, especially in this “macho republic”, a place where men are in the military, guard the borders and shout orders. “Many women in Nagorno Karabakh have their own careers and lead independent lives, but they refrain from constantly rubbing it in the noses of their men. The result is that, even if there is no peace in the country, there is at least peace between the genders and in the families”, the article states. It also touched upon Artsakh’s former culture minister Narine Agabalyan, stating that her staff was almost 80 percent women. Currently she is the minister of education. The news website writes that initially she worked as a television journalist, reporting on war, losses, but soon she decided to look for a new career path and entered into politics. “What you won't hear from either women or men here are stories of paternalism or officiousness that women must endure from male colleagues or men at large despite the large number of women in leadership positions”, Spiegel writes, quoting minister Agabalyan’s words who said the Artsakh women are unfamiliar with violence. She said with proud that she can't think of any other country in the world that is safer for women than Artsakh. GLENDALE—The Armenian Rugs Society, a Los Angeles-based organization dedicated to promoting, preserving and advancing Armenia’s ancient rug culture, this week issued an announcement, in which it sounds the alarm on Azerbaijani efforts—campaign—to claim ancient Armenian textiles and woven carpets as their own. Below is the text of the announcement. Official Azerbaijan, in collusion with members of the private sector close to the Azeri regime, has launched a campaign geared towards appropriating ancient Armenian carpet, rug, and textile weaving traditions and production as their own by generating articles in local and international news outlets, sponsoring exhibits, and publishing art books that portray Armenian woven arts and history, as their own. Several Azeri news sources (Sputnik Azerbaijan, World Economics Magazine: Azerbaijan Journal of Economics, Finance and Business), supported and abetted by the Azeri government—a notorious human rights violator–have recently published articles erroneously claiming that what are clearly Armenian carpets and rugs of global renown, from a variety of historic Armenian regions, including the Republics of Armenia and Artsakh (Nagorno Karabakh), respectively, are Azeri cultural artifacts and traditions. These salacious contentions are, of course, diametrically opposed to decades of work produced by countless academics, experts, and specialists from around the world, regarding the provenance of the artifacts and the millennial traditions of Armenian artisans and craftspeople, as well as their vast influence on other cultures. This unabashed falsification of history and cultural capital is the latest in a long line of smear campaigns and propaganda that not only strike at the heart and soul of Armenian cultural identity, but is a harsh blow to the international arts community and to woven arts scholarship in general, putting in serious danger whole academic disciplines and bodies of work. Sadly, the Azeri and Turkish states have long engaged in heinous policies and actions targeting Armenians and Armenian culture. The early part of the last century saw the wholesale slaughter and deportation of Armenians from the Armenian Highlands, and, then, the wholesale destruction of Armenian architectural sites, cultural artifacts, archeological treasures, and myriad other cultural properties, across once vibrant historic Armenia, filled-out the rest of the century. Unfortunately, the early 21st century did not bode well for Armenian cultural preservation either, as atrocities both human and material continue at the hands of the Azeri state in and around historic Artsakh (Nagorno Karabakh) and Nakhichevan, the millennial home of indigenous Armenians. These myriad and misguided attempts to erase the native origins of a far-reaching Armenian cultural reality, and the woven arts, in particular, are horrific in and of themselves. However, within the context of Azerbaijan’s bloody history of pogroms against its own Armenian population (as well as other minorities), its attempted genocide and current continued aggression against the Armenians of Artsakh (Nagorno Karabakh), and its despicable record of destroying precious World Heritage Sites, such as the once profoundly beautiful Cross Stones of Nakhichevan, this #altnews fiasco, in the age of the internet, begins to take on a wholly different and sinister meaning. The Turkish and Azeri states have not only engaged in genocide, but continue to attempt to strip the survivors of genocide, and their progeny, of any and all cultural meaning, memory, and motifs that have somehow survived and, indeed, form the fundament of Armenian cultural identity. To leave the victims of genocide bereft of all meaning, tradition, and identity, to which they cling so dearly, is to deny their very existence and is the final and most horrendous stage of genocide. This concerted effort to usurp, appropriate, and distort Armenian cultural traditions and production, and its dire consequences to international arts scholarship, must be stopped immediately. The Armenian Rugs Society, a non-profit organization founded in Washington D.C., in 1980, has dedicated itself to the identification, preservation, and documentation of Armenian woven arts, as well as to the dissemination of the cultural contributions made by Armenian weavers and craftspeople to the rich and vibrant history of textile arts. The Society, with the help of its members, supporters, academicians, and collectors has been at the forefront of preserving and promoting the precious global heritage treasure that is the Armenian woven arts tradition. The Society has also, by the nature of its very mission, been forced to deal with the callous, crass, and seemingly endless acts of aggression by the Azeris and their allies within the realm of art scholarship and culture. Now, with the help of scholars, textile experts, and organizations, both Armenian and non-Armenian, we can begin to set the record straight and uphold, with dignity, these global cultural traditions that have brought so much joy, meaning, and artistic excellence to not only the Armenian people, but to world culture and history over the span of centuries. “We regret the fact that the Azerbaijani Authorities requested an international arrest warrant against the President of the European Armenian Federation for Justice and Democracy (EAFJD) Kaspar Karampetian, for visiting Nagorno Karabakh /Artsakh. EAFJD is a grassroots organization, which uses the tools of civic activism to raise awareness. Despite the fact that there is no relevant basis in international law that would prevent anyone from visiting Nagorno Karabakh, the Azerbaijani Authorities have been using various methods of intimidation and trying to criminalize visits. There is no alternative to a peaceful settlement of the Nagorno Karabakh conflict. Imposing total isolation on the people of Nagorno Karabakh breaches their fundamental rights, enshrined in the Universal Declaration of Human Rights and is not a constructive method of conflict settlement. Memorandum of the Ministry of Foreign Affairs (MFA) of the Republic of Artsakh (Nagorno-Karabakh Republic) on the state of the historical and cultural monuments in Artsakh and Azerbaijan was published on Wednesday on the United Nations (UN) official website. Earlier, the MFA Memorandum was circulated in the UN, as well as the OSCE and the Council of Europe, the ministry’s said in a press release. The document emphasizes that all the architectural monuments in the territory of the Republic of Artsakh are the property and heritage of Artsakh. They are included in the State Register of Immovable Historical and Cultural Monuments and are under the state protection. Being a responsible member of the international community and attaching great importance to the preservation of cultural and historical monuments, the Republic of Artsakh, on a voluntary basis, undertook commitments stemming from the European Cultural Convention, the European Convention on the Protection of the Archaeological Heritage and the European Convention for the Protection of the Architectural Heritage of Europe. The corresponding instruments of ratification were sent to the Secretary General of the Council of Europe on 22 December 2014 and 30 June 2015. In compliance with the undertaken commitments, the Government of the Republic of Artsakh allocates funds annually for the preservation of historical monuments, regardless of their origin. The document presents facts that refute the false accusations of Azerbaijan on the destruction of Islamic monuments in the territory of Artsakh. The Memorandum notes that besides false allegations, Azerbaijan does not present any evidence and merely attempts to attribute its own approaches and actions to the Armenian side. In this context, it is stressed that during the Soviet period, as well as during the war, Azerbaijan destroyed 167 Armenian churches, 8 monastic complexes, 123 historical cemeteries. Today, Azerbaijan continues its deliberate policy to destruct the Armenian monuments in the territories under its control. Moreover, during peacetime the Azerbaijani authorities completely or partially destroyed all the Armenian cultural and historical monuments of Nakhijevan, where until the end of the 20th century there were 218 Armenian Christian monasteries, churches and chapels, and more than 4,500 khachkars (cross-stones) and, at the same time, only 6 mosques. The document expresses concern over Azerbaijani authorities’ attempts to interpret the construction of churches in Artsakh as a violation of international humanitarian law and to attach religious character to the Azerbaijan-Karabakh conflict. In this context, the document stresses that there is no single clause in international Humanitarian and Human Rights Law, which restricts freedom of religion, including building of places of worship. Armenians have been building churches for over 1700 years, long before the appearance of Azerbaijan itself. 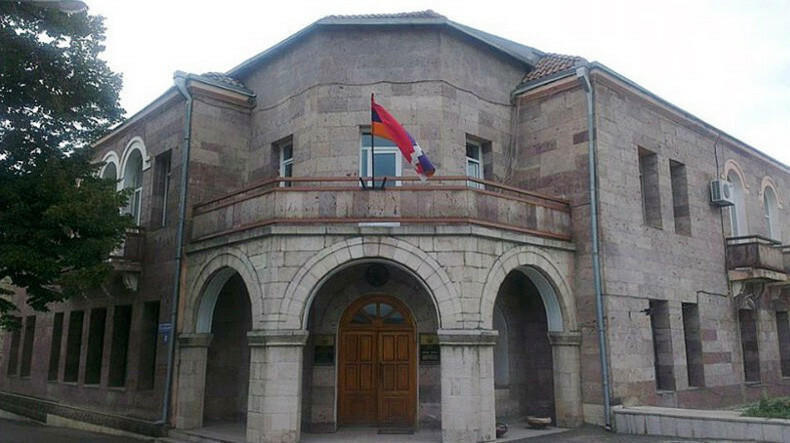 According to the position of Artsakh, the Azerbaijan-Karabakh conflict is not of a religious nature, but it is a clash of two systems of values — an aspiration to freedom and democracy, from the side of Artsakh, and an attempt to suppress by force the inalienable right of the people of Artsakh to decide their own destiny, from the side of Azerbaijan. The Memorandum also includes numerous visual materials testifying to the deliberate destruction and desecration of the Armenian monuments by Azerbaijan. Member of the European Parliament (MEP) Jaromír Štětina is in Artsakh on a working visit in these days. During the visit, he was hosted by the country’s president, foreign minister and held another meeting in the parliament. Artsakhpress conducted an interview with Jaromír Štětina over the purpose of his ongoing visit, the issues discussed with the Artsakh leadership, and other topics. Question: Mr. Štětina, during your regular visit to Artsakh, you had meetings with the highest authorities. What issues were discussed during these meetings? Jaromír Štětina (J. Š. ): First of all I must say that I am glad to visit Artsakh again and to meet with the highest authorities of the Artsakh Republic. I think we had very interesting discussions. In particular, we talked about the possibilities of establishing direct contacts between Artsakh and the European Union. This process should be speed up. For example, the lobbying system in EU structures should be built by appointing a representative of Artsakh in the European Parliament. I also proposed as an expert to involve two people from Artsakh in the European Parliament for practical training and exchange of experience. During the meetings we have discussed all these issues and I am happy to state that the Artsakh authorities are ready to expand and develop these relations. Question: The rights of the people living in Artsakh continue to be brutally violated by Azerbaijan. The authorities of that country even demand European countries to ban free movement of Artsakh citizens in Europe. What do you think why the European Union or the European Parliament does not take steps to prevent this anti-democratic initiative? J. Š.: There are forces in the European Union and the European Parliament that do not want to see that process. But that should be our front, our struggle. Azerbaijan wants to distort Artsakh's political and economic system, and Baku is trying to intimidate those visiting Artsakh. For example, after my previous visit to Artsakh during the Constitutional referendum, Baku appealed to Interpol to arrest me but was rejected because the organization is not engaged in political issues. Question: Mr. Štětina, you have been visiting Artsakh for a long time and you are well aware of our management system. Do you consider de jure unrecognized republic of Artsakh democratic country? J. Š.: I think that Artsakh has all the attributes for being an independent and recognized state. There is a democratic system here, all the institutions function, and all this is regulated by the new Constitution. In addition, the Republic of Artsakh is able to organize its defense and has a developed and developing economic system. These are important components, and I personally confirm that as I have regularly visited Artsakh within the last 30 years. YEREVAN, October 18 /ARKA/. A reliable and direct communication line has been established between Armenia and Azerbaijan, Armenia’s acting Prime Minister Nikol Pashinyan told reporters today when he attended the opening of a large mining farm in a Yerevan outskirt. "As earlier agreed, a reliable communication line has been established with the Azerbaijani side. We can say that operative information will reach the president of Azerbaijan within half an hour, and if something happens on their part, the information will reach us within the same time span," said Pashinyan. He noted that the situation on the Armenian-Azerbaijani border and along the contact line in Karabakh has been calm of recently. “And this is to some extent the result of the agreements we reached in Dushanbe,” said Pashinyan. During a meeting September 28 in a CIS summit in Tajikistan Pashinyan and Aliyev agreed to prevent violations of the ceasefire regime along the entire Armenia-Azerbaijan and Karabakh-Azerbaijan lines of contact. The Nagorno-Karabakh conflict erupted into armed clashes after the collapse of the Soviet Union in the early 1990s as the predominantly Armenian-populated enclave of Azerbaijan sought to secede from Azerbaijan and declared its independence backed by a successful referendum. On May 12, 1994, the Bishkek cease-fire agreement put an end to the military operations. A truce was brokered by Russia in 1994, although no permanent peace agreement has been signed. Since then, Nagorno-Karabakh and several adjacent regions have been under the control of Armenian forces of Karabakh. Ex-ombudsman: When should genocidal Azerbaijan be held to account, if not now? A country with genocidal tendencies can never ensure the safety of the people it has always attempted to annihilate, Armenia’s first Human Rights Defender Larisa Alaverdyan said, commenting on the recent statement of Azerbaijani Foreign Minister Elmar Mammadyarov. The Azerbaijan FM said on Tuesday Baku is ready to grant ‘high-level autonomy’ to Artsakh and ensure the security of the Artsakh Armenians just like it ensures the safety of the ethnic minority representatives in the country. Speaking to a Panorama.am correspondent, Alaverdyan, who heads the Foundation Against the Violation of Law NGO, stressed Azerbaijan has no rights regarding the Artsakh Republic in terms of the international law. “These encroachments are based solely on political decisions that were voiced in the 1990s, and which Armenia has agreed with by signing various documents. Now, in a much vaguer way, Mammadyarov reserves a right to Azerbaijan to exercise some rights over territories that are not part of that country. The vague status is inferior to what Artsakh has achieved due to its fair national liberation struggle under a genocide threats from Azerbaijan,” she said. The ex-ombudsman recalled Mammadyarov is not the first official to make similar statements on the status of Artsakh. “Back in 1991-1992, as the first president of Armenia and before that as the Supreme Council chairman, Levon Ter-Petrosyan clearly stated that Armenia agreed that Nagoro-Karabakh remain as part of Azerbaijan, but its status be increased to an autonomous republic,” she said. She stressed the Armenian authorities should voice a clear position on similar statements of top Azerbaijani officials. “As it is known, Mammadyarov's statement on granting high level of self-government to Artsakh has been followed by another statement saying Baku expects Yerevan to withdraw its troops from Artsakh as soon as possible. We must realize that the first and second statements are directly linked. This is the continuation of the retreating position that Armenia expressed back in 90s – a status in exchange for territories. This slogan is not regressive but totally defeatist which puts at risk not only the Artsakh Armenians but also the whole Armenians in the region,” she stressed. “This is simply a new threat. In 1918, Azerbaijan showed itself as a genocidal state created just when Turkey was perpetrating a genocide against Armenians. Azerbaijan has been created with a single purpose and mission: to complete the Armenian Genocide this time in the eastern part. This is so clear that Azerbaijan’s cunning plans cannot convince anyone today,” Alaverdyan said. “Armenia and Artsakh now have the opportunity to sum up all this and bring Azerbaijan to justice both for the Maragha genocide and all the threats made by Azerbaijan’s leader, including the statement that Azerbaijan is ready ‘to return’ even Yerevan. Such statements open new opportunities for the Armenian side to hold Azerbaijan to account for all the genocidal acts committed against Armenians in Sumgait, Baku, Gandzak and over 320 other settlements. In addition, the 2016 atrocities that Azerbaijan hasn’t returned the heads of Armenian soldiers and a citizen to Armenia. If not now, when will the Armenian side finally make such a move?’ she said. Memorandum by the Artsakh Republic foreign ministry on the issue of missing persons in the context of the Azerbaijan-Karabakh conflict was disseminated on December 11 in the United Nations Organization (UN). As the Artsakh foreign ministry reported in a release, the document was placed on the UN official website. The memorandum, in particular, notes that the issue of missing persons in the context of the Azerbaijan-Karabakh conflict emerged long before the full-scale war, which was unleashed by Azerbaijan against the Republic of Artsakh (Nagorno Karabakh Republic) in 1991. Individual cases of hostage-taking and kidnapping of persons of Armenian nationality were taking place in Artsakh already in 1988–1989. The issue of hostages and missing persons became more acute as the conflict escalated. The practice of taking hostage persons of Armenian nationality became widespread during “Operation Ring” for the deportation of Armenian villages of Artsakh in 1991. “Throughout the territory of Artsakh people were kidnapped, whereupon they found themselves in Azerbaijani prisons and other places of detention, where they were subjected to torture and other forms of cruel and inhuman treatment. For eight months of 1991 only, 640 peaceful residents from different villages of Artsakh were illegally arrested or captured by Azerbaijani authorities; 127 Armenians were captured and sentenced on the ground of false accusations to different terms and 31 of them died as a result of widely practiced regular torture in Azerbaijani prisons and concentration camps”, the document reads. The Memorandum also contains many well-documented facts about the torture of Armenian hostages and prisoners of war by the Azerbaijani side during the Azerbaijan-Karabakh conflict and after the signing of the 1994 ceasefire agreement. The document also notes that by raising the issue of missing persons and at the same time rejecting any cooperation to address it, Azerbaijan is obviously pursuing a hidden agenda. In particular, the Azerbaijani side is trying to manipulate the issue of prisoners of war and missing persons with a view to justifying crimes, committed by citizens of Azerbaijan Dilham Askerov and Shahbaz Guliyev, in the territory of the Republic of Artsakh. This campaign is part of a state policy of incitement of Armenophobia in Azerbaijan and promotion of hate crimes against Armenians that has penetrated all spheres of public life. The existence of racism and xenophobia towards Armenians in Azerbaijan has been also confirmed in the documents of several international organizations.